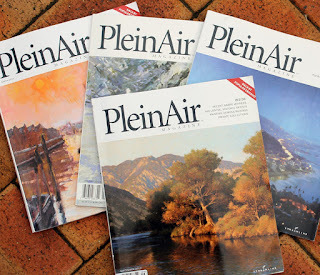 Mid-last year I subscribed to Plein Air Magazine after seeing it mentioned on a couple of blogs written by respected artists. I didn't want to mention it here until I'd received a few issues and determined if it was a product I'd want to recommend. Having just received my fourth issue, I think I can make that recommendation now. As magazine subscriptions go, this one is pretty cheap with an international price of US$74.98 a year, including postage, for six editions of the print version. Savings are available for two- and three-year subscriptions. Note that US subscriptions are much, much cheaper still. There is also a digital version of the magazine available. The publisher is responsible for organising a major plein air expo each year in the US and promotes and supports other events related to plein air painting. Each issue of the magazine naturally features articles about plein air painters but also about collectors and sometimes a little art history. There's a fair bit of advertising but it is segregated to the front and back of the mag, leaving the middle for the stories. Many of the ads in the front section feature large reproductions of paintings by selected artists and are quite informative in themselves. The magazine's website offers a lot of free content too, including a weekly email newsletter, and you don't need to be a subscriber to access it. 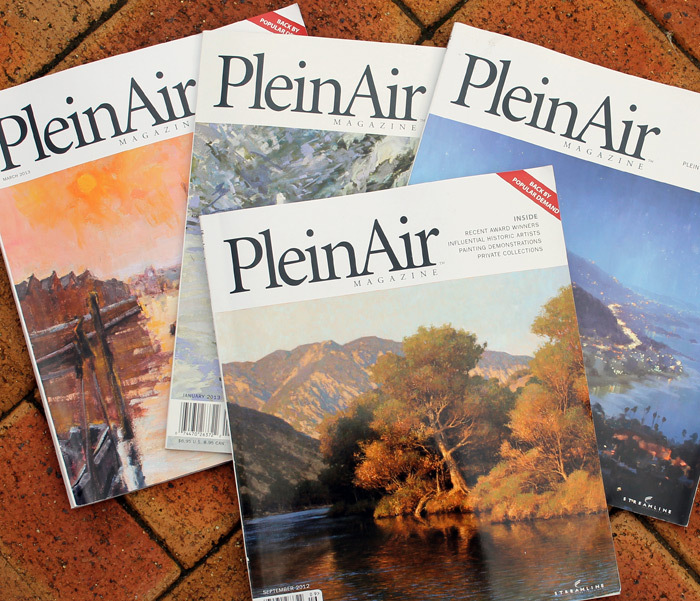 If you're interested in plein air painting, this might be the magazine for you. A (Canadian?) company which claims to paint houses left a spam comment above. Spamming is very poor business practice and I would be dubious about employing any company that uses spamming as a marketing strategy. Spam comments are not tolerated here. Apologies are accepted though. Controversy in art awards - a good thing? Art and scams don't mix!